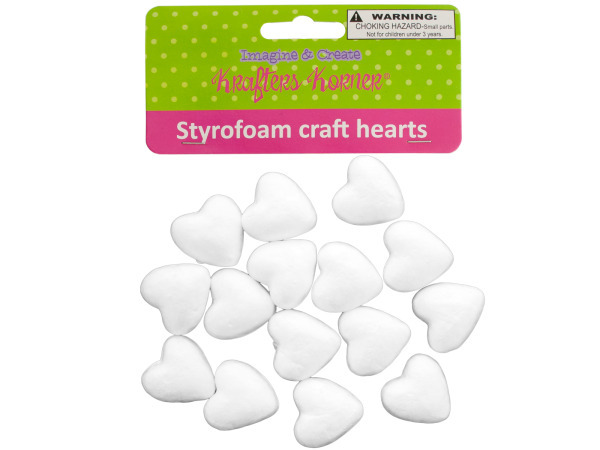 Great for a variety of projects, these Styrofoam Craft Hearts can be painted, decorated, glued to surfaces, attached to stems for use in floral arrangements and much more. Comes in three sizes: 2-pack of large hearts, 9-pack of medium hearts and 15-pack of small hearts. Comes packaged in a poly bag with a header card.